Oldest Competitors: Patrick Tallent (63, born Aug. 12, 1953), Chip Lutz (61, born Jan. 11, 1955). Youngest Competitors: Karl Vilips (14, born Aug. 16, 2001), Edwin Kuang (15, born Aug. 1, 2001), Adam Xiao (15, born May 1, 2001), James Song (15, born Aug. 17, 2000). International Field – There are 29 countries represented in the 2016 U.S. Amateur. Countries with players in the field – United States (247), Canada (13), Australia (5), England (5), People’s Republic of China (4), Scotland (4), Chile (3), Mexico (3), France (2), New Zealand (2), Spain (2), South Africa (2), Austria (1), Colombia (1), Costa Rica (1), Ecuador (1), Germany (1), India (1), Republic of Ireland (1), Italy (1), Republic of Korea (1), Norway (1), Peru (1), Sweden (1), Thailand (1), Trinidad and Tobago (1), Uruguay (1), Venezuela (1) and Wales (1). U.S. States Represented – There are 46 states represented in the 2016 U.S. Amateur: California (40), Texas (19), North Carolina (15), Georgia (13), Florida (12), Illinois (10), Michigan (9), Ohio (9), New York (9), Pennsylvania (9), Tennessee (8), Arizona (5), Colorado (5), Connecticut (5), Maryland (5), Alabama (4), Iowa (4), Kentucky (4), Massachusetts (4), New Jersey (4), South Carolina (4), Indiana (3), Louisiana (3), Minnesota (3), Mississippi (3), New Hampshire (3), Oklahoma (3), Oregon (3), Virginia (3), Washington (3), Wisconsin (3), Hawaii (2), Idaho (2), Missouri (2), New Mexico (2), Utah (2), Arkansas (1), Maine (1), Montana (1), Nebraska (1), Nevada (1), North Dakota (1), Rhode Island (1), South Dakota (1), West Virginia (1), and Wyoming (1). USGA Champions (13): Philip Barbaree (2015 Junior Amateur), Scott Harvey (2014 Mid-Amateur), Tim Hogarth (1996 Amateur Public Links), Min Woo Lee (2016 Junior Amateur), Chip Lutz (2015 Senior Amateur), Michael McCoy (2013 Mid-Amateur), Scottie Scheffler (2013 Junior Amateur), Sammy Schmitz (2015 Mid-Amateur), Nathan Smith (2003, 2009, 2010, 2012 Mid-Amateur; 2015 Amateur Four-Ball), Patrick Tallent (2014 Senior Amateur), Todd White (2015 Amateur Four-Ball), Gunn Yang (2014 Amateur), Will Zalatoris (2014 Junior Amateur). USGA Runners-Up (11): Derek Bard (2015 Amateur), Chelso Barrett (2011 Junior Amateur), Tom Brandes (2015 Senior Amateur), Marc Dull (2015 Mid-Amateur), Doug Ghim (2014 Amateur Public Links), Noah Goodwin (2016 Junior Amateur), Tim Hogarth (2010 Mid-Amateur), Garrett Rank (2012 Mid-Amateur), Davis Riley (2013, 2014 Junior Amateur), Patrick Tallent (2010 Senior Amateur), Ben Warnquist (2016 Amateur Four-Ball). 2015 U.S. Amateur Competitors (70): Roman Aargon, Eric Banks, Philip Barbaree, Luis Fernando Barco, Derek Bard, Chelso Barrett, Bryan Baumgarten, Sam Burns, Miller Capps, David Cooke, Claudio Correa, Sean Crocker, Stoney Crouch, Cameron Davis, Cristobal Del Solar, Kyler Dunkle, Broc Everett, Ewen Ferguson, Rigel Fernandes, Grant Forrest, Stephen Franken, Jorge Garcia, Doug Ghim, Noah Goodwin, Benjamin Griffin, Will Grimmer, Christopher Guglielmo, Stewart Hagestad, Blair Hamilton, Nick Hardy, Scott Harvey, Jacob Hicks, Rico Hoey, Ian Holt, Sam Horsfield, Franklin Huang, Austin James, Cheng Jin, Jimmy Jones, Philip Knowles, David Kocher, Curtis Luck, Michael McCoy, Maverick McNealy, Collin Morikawa, Kyle Mueller, John Oda, Zachary Olsen, Matthew Oshrine, Paul Pastore, Corey Pereira, Matthew Perrine, Garrett Rank, Ryann Ree, Davis Riley, Joey Savoie, Scottie Scheffler, Harrison Shih, Nathan Smith, Patrick Tallent, Braden Thornberry, Tom Vining, Frederick Wedel, Daniel Wetterich, Todd White, Gunn Yang, Edwin Yi, Cameron Young, Will Zalatoris, Robbie Ziegler. 2014 U.S. Amateur Competitors (43): Derek Bard, Sam Burns, Jeff Champine, Jonathan Chang, Wyndam Clark, Brandon Cloete, Christopher Crawford, Rigel Fernandes, Grant Forrest, Peter French, Taylor Funk, Mario Galiano, Barton George, Doug Ghim, Will Grimmer, Gavin Hall, Nick Hardy, Rico Hoey, Sam Horsfield, Chris Houston, Theo Humphrey, Philip Knowles, Thomas Lim, Curtis Luck, Michael McCoy, Maverick McNealy, Zachary Olsen, Garrett Rank, Ryann Ree, Davis Riley, Scottie Scheffler, Sammy Schmitz, Henry Shimp, Nathan Smith, Nick Swanson, Tom Swanson, Charles Waddell, Frederick Wedel, Todd White, Gunn Yang, Edwin Yi, Cameron Young, Will Zalatoris. 2013 U.S. Amateur Competitors (28): Chelso Barrett, Wyndham Clark, Christopher Crawford, Brad Dalke, Peter French, Brent Grant, Stewart Hagestad, Gavin Hall, Blair Hamilton, Nick Hardy, Scott Harvey, Rico Hoey, Chris Houston, Theo Humphrey, Raymond Knoll, Michael McCoy, Zachary Olsen, Matthew Oshrine, Garrett Rank, Kevin Reilly, Davis Riley, Scottie Scheffler, Matthias Schwab, Nathan Smith, Ryan Troyer, Ben Warnquist, Cameron Young, Will Zalatoris. 2016 U.S. Open Competitors (9): Derek Bard, Sam Burns, Christopher Crawford, Nick Hardy, Sam Horsfield, Kyle Mueller, Scottie Scheffler, Ryan Stachler, Justin Suh. 2016 The Open Championship Competitors (1): Scott Gregory. 2016 U.S. Senior Open Competitors (4): Tom Brandes, Chip Lutz, Michael McCoy, Patrick Tallent. 2016 U.S. Junior Amateur Competitors (11): Connor Burgess, Paul Chaplet, Will Dickson, Noah Goodwin, Garrick Higgo, Min Woo Lee, Won Jun Lee, Joaquin Niemann, James Song, Travis Vick, Shuai Ming Wong. 2016 U.S. Amateur Four-Ball Competitors (13): Drew Allenspach, Will Grimmer, Scott Harvey, David Kocher, Sachin Kumar, Garrett Rank, Doc Redman, Nathan Smith, Sam Triplett, Todd White, Ben Warnquist, Shuai Ming Wong, Cameron Young. 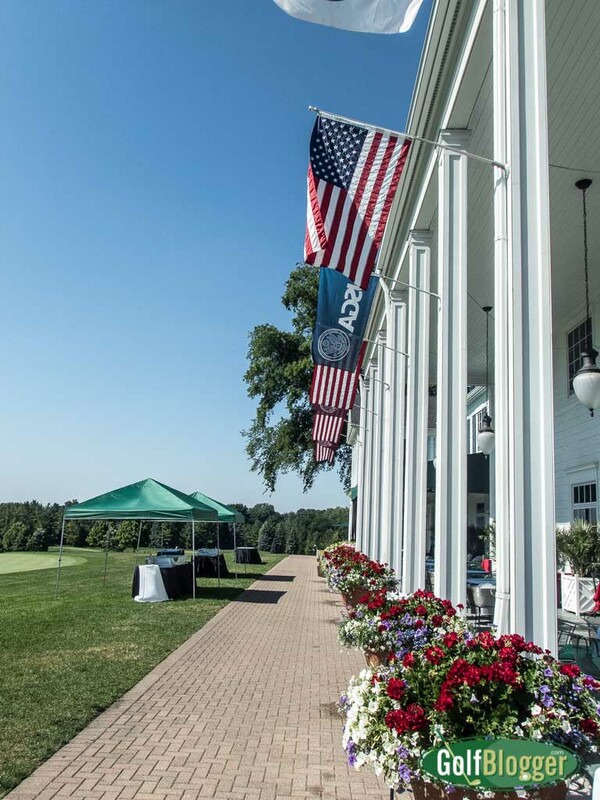 2015 U.S. Mid-Amateur Competitors (12): Dennis Bull, Marc Dull, Kevin Fajt, Scott Harvey, Michael McCoy, Bowen Osborn, Sammy Schmitz, Craig Smith, Nathan Smith, Patrick Tallent, Charles Waddell, Todd White. 2015 U.S. Senior Amateur Competitors (3): Tom Brandes, Chip Lutz, Patrick Tallent. 2015 USA Walker Cup Team Members (3): Scott Harvey, Michael McCoy, Maverick McNealy. 2015 GB&I Walker Cup Team Members (3): Ewen Ferguson, Grant Forrest, Jack Hume. 2013 USA Walker Cup Team Members (2): Nathan Smith, Todd White. Philip Barbaree, 18, of Shreveport, La., won the 2015 U.S. Junior Amateur by defeating Andrew Orischak in 37 holes. Barbaree set a championship record for largest comeback, coming from 5 down with eight holes to play. Barbaree has won two LHSAA Division I individual state high school championships and was the runner-up in 2016 when he helped C.E. Byrd garner the team title. He was chosen 2015 Rolex Junior Player of the Year after winning the AJGA Rolex Tournament of Champions. Derek Bard, 21, of New Hartford, N.Y., was the 2015 U.S. Amateur runner-up, losing to Bryson DeChambeau in the final. He was selected to the All-Atlantic Coast Conference team for the second consecutive year as a member of the University of Virginia team. He has played in two U.S. Amateurs and two U.S. Junior Amateurs, advancing to match play in all four championships. Bard, who played in this year’s U.S. Open at Oakmont (Pa.) Country Club, won the 2015 Sunnehanna Amateur by one stroke with a 72-hole score of 12-under 268. Bard also won the 2013 New York State Federation and 2012 New York State Public High School championships. Bradley Bastion, 31, of Shelby Township, Mich., is playing in his fourth USGA championship, having qualified for the 2010 U.S. Amateur Public Links and the 2013 and 2014 U.S. Mid-Amateurs. Bastion reached the quarterfinals of the 2013 U.S. Mid-Amateur. He has played in the Michigan Amateur Championship every year since 2008 and reached match play six times, including the quarterfinals in 2011 and the semifinals in 2013. He is a financial advisor. David Boote, 22, of England, is making his first USGA championship appearance. Boote just graduated from Stanford University, where he played in every tournament in four years, earning All-America honors twice and 13 top-10 finishes. He tied for third in the individual portion of the 2016 Pac-12 Championship and at the 2014 NCAA National Championship. He was a member of the winning European Arnold Palmer Cup and Bonnollack Trophy teams in 2016. Tom Brandes, 59, of Bellevue, Wash., is playing in his 16th USGA championship. Brandes has played in the U.S. Mid-Amateur, U.S. Senior Amateur and Men’s State Team three times each, reaching the finals in the 2015 U.S. Senior Amateur. He’s also made four appearances in the U.S. Senior Open and qualified for the 2015 U.S. Amateur Four-Ball. Brandes was also the runner-up at the 2013 British Senior Amateur. He was inducted to the PNGA Golf Hall of Fame, is a five-time PNGA Senior Player of the Year and six-time WSGA Senior Player of the Year. Dennis Bull, 34, of Norwalk, Iowa, finished second representing Iowa in the 2012 Men’s State Team. He also qualified for the 2013 U.S. Mid-Amateur and U.S. Amateur and the 2012 U.S. Mid-Amateur, reaching the quarterfinals in the latter. Bull was named the 2012 Iowa Golf Association Player of the Year. He is a finance manager. Sam Burns, 20, of Shreveport, La., earned honorable mention All-America honors at Louisiana State University last year as a freshman. Burns, who qualified for this year’s U.S. Open at Oakmont, has played in two U.S. Amateurs and advanced to the 2015 U.S. Amateur Four-Ball semifinals with partner Austin Connelly. Burns won three consecutive LHSAA state high school championships. Paul Chaplet, 17, of Costa Rica, advanced to the Round of 32 at this year’s U.S. Junior Amateur. He won the 2016 Latin America Amateur Championship by posting a one-stroke victory over Venezuela’s Jorge Garcia with a 72-hole score of 3-under 285. Chaplet’s win earned him a Masters Tournament invitation. He finished as runner-up at the IMG Academy Junior World-Florida Challenge, losing to Brandon Wang in a playoff last December. Christopher Crawford, 22, of Bensalem, Pa., is competing in his fourth U.S. Amateur. He became the first Drexel University golfer to play in a U.S. Open in June. His 40-foot birdie putt on the final hole at the Summit, N.J., sectional qualifier placed him in the field at Oakmont Country Club. Crawford advanced to this year’s North & South Amateur quarterfinals. A three-time All-America selection, Crawford was voted 2015 Colonial Athletic Association Player of the Year. Sean Crocker, 19, of Westlake Village, Calif., advanced to the 2015 U.S. Amateur semifinals, where he lost to eventual champion Bryson DeChambeau. He tied for second at this year’s Northeast Amateur with a 72-hole total of 5-under 271. Crocker was born in Zimbabwe and learned the game from his father, Gary, a professional cricket player. As a sophomore at USC, Crocker was chosen second-team All-Pac-12. Crocker, who helped the Trojans reached the NCAA match-play semifinals, was also the 2014-15 Pac-12 Freshman of the Year. He made it to the quarterfinals of the 2014 U.S. Junior Amateur. Brad Dalke, 18, of Oklahoma City, Okla., was selected All-Central Region as a freshman on the University of Oklahoma team. He tied for 15th in helping the Sooners finish second at the NCAA Stillwater Regional. Dalke, who competed in four U.S. Junior Amateurs, comes from an athletic family. His mother, Kay (Pryor), played on the first Oklahoma women’s golf team. His father, Bill, was a linebacker on Oklahoma’s 1975 national championship team. His grandfather, Ken (Pryor), played on the school’s basketball and baseball teams. Will Dickson, 17, of Providence, R.I., qualified for this year’s U.S. Junior Amateur and advanced to the Round of 16 in 2014, losing to eventual champion Will Zalatoris. Dickson won his third consecutive state championship in June and became the second Rhode Island golfer since the mid-1960s to accomplish that feat. Dickson, who also swims freestyle and backstroke events on the Moses Brown High School squad, captured the 2012 Rhode Island Junior Amateur at age 13. Marc Dull, 30, of Winter Haven, Fla., was the 2015 U.S. Mid-Amateur runner-up, losing to Sammy Schmitz in the 36-hole final. Dull is a caddie at Streamsong (FIa.) Resort, which hosted this year’s U.S. Women’s Amateur Four-Ball. He is also the great grandson of two-time U.S. Senior Amateur champion Dexter Daniels. He is competing in his third USGA championship and played in the 2009 U.S. Amateur. Harrison Endycott, 20, of Australia, was a quarterfinalist at this year’s Australian Amateur, losing to eventual champion Connor Syme, 2 and 1. Endycott rallied to win the 2016 Porter Cup with a final-round 66 at Niagara Falls Country Club on July 30. He posted a 72-hole score of 14-under 266, one stroke better than runner-up Gavin Hall. Endycott, who also tied for second at the Players Amateur, owns four other victories in 2016 – South Australian Classic, Lake Macquarie Amateur, Riversdale Cup and Avondale Amateur. Ewen Ferguson, 20, of Scotland, was a member of the victorious 2015 Great Britain and Ireland Walker Cup Team. He defeated Maverick McNealy, 1 up, in Saturday singles. Ferguson advance to the Round of 16 at this year’s Amateur Championship, conducted by The R&A. In 2015, he won the Scottish Champion of Champions by shooting all four rounds in the 60s and tied for third in the Irish Amateur Open. Grant Forrest, 23, of Scotland, was a member of the 2015 Great Britain and Ireland Walker Cup Team, which defeated the USA, 16.5-9.5. He defeated Scott Harvey, 2 and 1, in Saturday singles. Forrest advanced to the Round of 16 in this year’s Amateur Championship, conducted by The R&A. In 2015, he was the runner-up to Romain Langasque. He graduated from the University of San Diego, where he was the 2014 West Coast Conference Player of the Year, 2013 WCC Tournament champion and 2012 WCC Freshman of the Year. Doug Ghim, 20, of Arlington Heights, Ill., is competing in his third consecutive U.S. Amateur. Ghim was chosen second-team All-American and earned first-team All-Big 12 Conference honors for the second consecutive year at the University of Texas. He helped the Longhorns win both the Big 12 and NCAA Franklin Regional titles and finish as NCAA runners-up. He was third at this year’s Trans-Mississippi Amateur. Ghim was the 2014 U.S. Amateur Public Links runner-up to Byron Meth and a semifinalist in the 2013 U.S. Junior Amateur. Josh Gliege, 18, of Eagle, Idaho, competed in his third U.S. Junior Amateur last year and was the Pacific Northwest Golf Association Player of the Year. Gliege, who plans to enroll at Texas A&M University in the fall, was a four-time all-state selection. In 2015, he won the Class 5A state championship and led Eagle High to its sixth consecutive state crown. His father, grandfather and uncle are all pilots. Darin Goldstein, 34, of New York, N.Y., is playing in his second USGA championship after qualifying for the 2015 U.S. Mid-Amateur. Goldstein played tennis at Duke University and won the 2013 and 2016 Long Island Mid-Amateurs, the 2015 Havemeyer Invitational and Nassau Invitational and was a member of the MGA Carey Cup team. He works in real estate. Santiago Gomez, 23, of Colombia, played in the Latin America Amateur in 2015 and 2016. At Division II Nova Southeastern, Gomez was the recipient of the Jack Nicklaus Award, given to the national player of the year, and was a three-time All-America selection. Noah Goodwin, 16, of Corinth, Texas, was the 2016 U.S. Junior Amateur runner-up to Min Woo Lee and was defeated in the 36-hole final, 2 and 1. Goodwin advanced to match play at last year’s U.S. Amateur, losing in 21 holes to Jake Knapp. Goodwin, who tied for 13th in the Northeast Amateur, has the same swing coach (Cameron McCormick) as 2015 U.S. Open and two-time U.S. Junior Amateur champion Jordan Spieth. His father, Jeff, is a professor of kinesiology at the University of North Texas. William Gordon, 19, of Davidson, N.C., was named to the All-SEC Second Team and SEC All-Freshman Team after his freshman year at Vanderbilt University. He was the only freshman to be named to this year’s Palmer Cup team and finished inside the top 10 seven times, including co-medalist honors at the Schenkel Invitational. Gordon reached the Round of 32 at the 2013 U.S. Junior Amateur. Scott Gregory, 21, of England, won the 2016 Amateur Championship, conducted by The R&A, at Royal Porthcawl in Wales. He defeated Robert MacIntyre, 2 and 1, in the final and Adrian Meronk, 3 and 2, in the semifinals. Gregory, who was this year’s Spanish Amateur runner-up, was one of two amateurs to play in The Open Championship at Royal Troon. He was also the 2014 England Amateur runner-up. Will Grimmer, 19, of Cincinnati, Ohio, is playing in his third U.S. Amateur and advanced to the Round of 32 at Olympia Fields (Ill.) Country Club last year. Grimmer, who earned All-Midwest Region honors as a freshman at Ohio State University in 2015-16, qualified for the 2014 U.S. Open, where he was the youngest player (age 17) in the field. Grimmer, who carded an 11-under-par 59 in the 2013 Junior North & South Amateur, tied for 12th in the 2016 Big Ten Conference Championship. David Hall, 45, of Birmingham, Mich., reached the Round of 16 at the U.S. Mid-Amateur in 1996 and represented Michigan in the USGA Men’s State Team Championship twice. Hall was a medalist at the North & South in 1995 and is a former Michigan Player of the Year. He works in his family’s financial service company. Gavin Hall, 21, of Pittsford, N.Y., was chosen second-team All-American as a junior at the University of Texas. He was also selected first-team All-Big 12 Conference for the second consecutive year. The Longhorns were the NCAA runners-up and won this year’s Big 12 and NCAA Franklin Regional titles. Hall was the youngest player in the 2013 U.S. Open field at Merion Golf Club when he qualified through local and sectional play. Hall, who competed in the 2010 and 2014 U.S. Amateurs, finished second at this year’s Porter Cup with a four-round total of 13-under 267. Nick Hardy, 20, of Northbrook, Ill., qualified for his second consecutive U.S. Open in June. He tied for 52nd at Chambers Bay last year. Hardy helped the University of Illinois claim the 2016 Big Ten Championship and NCAA Kohler Regional and advance to the NCAA match-play semifinals. He was chosen second-team All-Big Ten. He has competed in three U.S. Amateurs and two U.S. Junior Amateurs. Scott Harvey, 38, of Greensboro, N.C., is competing in his 20th USGA championship, including his seventh U.S. Amateur. He won the 2014 U.S. Mid-Amateur, which earned him an invitation to the 2015 Masters. Harvey, a property manager, has reached match play in two U.S. Amateur Four-Balls with partner Todd Mitchell (2015, semifinals; 2016 Round of 16) and was a member of the 2015 USA Walker Cup Team. He works as a property manager. John Hayes, 26, of Portland, Maine, a bartender at Gritty’s, won the 2015 Maine Amateur and the 2013 Rhode Island Amateur stroke play by tournament records. He qualified for the NCAA National Championships in 2010 and 2013 while playing for the University of Colorado. Rico Hoey, 20, of Rancho Cucamonga, Calif., is playing in his fourth U.S. Amateur. He earned second-team All-America recognition at the University of Southern California and finished second at NCAAs. The Trojans advanced to the NCAA match-play semifinals. Hoey, who was born in the Philippines, was selected first-team All-Pac-12 Conference for the third consecutive year. He was voted 2014 Pac-12 Freshman of the Year. Hoey won this year’s SCGA Amateur with a 72-hole score of 19-under 269. Lee Hodges, 21, of Huntsville, Ala., was Conference USA Freshman of the Year, two-time first team All-Conference USA and medalist at the 2015 Shoal Creek Intercollegiate hosted by Graeme McDowell while playing at the University of Alabama-Birmingham. Sam Horsfield, 19, of England, qualified for his second consecutive U.S. Open this year. Horsfield received the Phil Mickelson Award as the nation’s top freshman and was chosen 2016 Southeastern Conference Freshman of the Year as a member of the University of Florida team. Horsfield, a first-team All-America and All-SEC selection, helped the Gators tie for second at the NCAA Kohler Regional. Horsfield, who has lived in Florida since age 5, has played in 12 USGA championships, including three U.S. Amateurs and three U.S. Junior Amateurs. Jack Hume, 22, of the Republic of Ireland, was a member of the victorious 2015 Great Britain and Ireland Walker Cup Team. Hume reached the first round of match play in this year’s Amateur Championship, conducted by The R&A. In 2015, he tied for third in the Brabazon Trophy English Open and tied for sixth in the St. Andrews Links Trophy. He helped Ireland win the Home Internationals against Wales. Austin James, 20, of Canada, reached last year’s U.S. Amateur quarterfinals while competing in his first USGA championship. He was chosen 2016 Big South Conference Player of the Year as a senior at Charleston Southern University. James, who was selected All-East Region, won the Big South title with 54-hole score of 11-under 205, one stroke off Dustin Johnson’s conference record. His sister, Augusta, competes on the Symetra Tour and played at North Carolina State University. Brendon Jelly, 21, of Tulsa, Okla., won the 2014 and 2015 Oklahoma State Amateurs. He was the medalist at the 2016 John Hayt Collegiate Invitational playing for Oklahoma State. He was named to the 2016 All-Big 12 first team. Cheng Jin, 18, of the People’s Republic of China, won the 2015 Asia-Pacific Amateur Championship and earned an invitation to this year’s Masters, where he missed the cut. Jin won the 2016 Players Amateur by two strokes with a four-round total of 13-under 275. He has played in three U.S. Junior Amateurs and advanced to match play on each occasion. Jin, who competed in the 2013 USA-China Youth Match, plans to enroll at the University of Southern California in the fall. Philip Knowles, 19, of Bradenton, Fla., is playing in his third consecutive U.S. Amateur. He is a former winner of the Florida Amateur and the 2016 Rice Planters Amateur, runner-up at the 2015 Florida Open and 2016 Hyatt Invitational. David Kocher, 20, of Charlotte, N.C., finished third in the 2015 Big Ten Championship for the University of Maryland. He notched a runner-up at the Carolinas Amateur and a top-10 finish at the North Carolina Amateur in 2015. Sachin Kumar, 17, of Trinidad & Tobago, and partner Alberto Martinez reached match play at the 2016 U.S. Amateur Four-Ball Championship. Kumar also advanced to U.S. Open sectional qualifying from the local stage. Kumar, who attends Club Med Golf Academy in Port St. Lucie, Fla., represented his country in the 2015 Pan American Games. He won his second Trinidad and Tobago Open Amateur in March and claimed the 2015 South Florida PGA Junior. Jack Larkin Jr., 20, of Atlanta Ga., is the son of 1978 U.S. Junior Amateur champion Jack Larkin. Min Woo Lee, 18, of Australia, posted a 2-and-1 victory against Noah Goodwin to win the 2016 U.S. Junior Amateur. He is the brother of Minjee Lee, who won the 2012 U.S. Girls’ Junior and owns two LPGA Tour victories. They became the first brother-sister tandem to win USGA Junior championships. Min Woo rose to prominence last year when he captured the Western Australia Amateur, tied for first at The Sprint International and tied for 10th at the Western Australia Open. He also won the Aaron Baddeley International Junior last December and has claimed two Western Australia Juniors (2013, 2014). Won Jun Lee, 17, of the Republic of Korea, is a rising senior at Saddlebrook Prep School in Florida. Lee qualified for this year’s U.S. Amateur as the medalist in the Memphis, Tenn., sectional. He advanced to the 2016 U.S. Junior Amateur quarterfinals and was a semifinalist last year. Lee missed a playoff at this year’s U.S. Open sectional qualifier in Jacksonville, Fla. after incurring a two-stroke penalty for tapping down a pitch mark off the green. Lee, who also made match play in the 2014 Junior Amateur, earned Rolex Junior All-America recognition last year. KK Limbhasut, 20, of Thailand, won the 2015 Aggies Invitational and 2014 Western Junior. For the University of California, Limbhasut finished tied for sixth at the Pac 12 Championships in 2015 and tied for third this year. He tied for fourth at NCAA Regionals in 2015 and 2016, and finished tied for 17th in this year’s NCAA Championships. Kaiwen Liu, 16, of the People’s Republic of China, advanced to match play in the 2015 U.S. Junior Amateur, his first USGA championship. Liu, a rising junior at Torrey Pines (Calif.) High School, competed in 2015 and 2016 U.S. Open sectional qualifying. He broke the San Diego section scholastic boys’ record by four strokes with a 14-under-par 130 the same week he shot a 66 to earn medalist honors in U.S. Open local qualifying. Liu placed third at this year’s Rolex Tournament of Champions. Curtis Luck, 19, of Australia, reached the semifinals of the 2014 U.S. Junior Amateur. Luck, from Perth, won the 2016 WA Open, an Australasian PGA Tour event, and was runner-up in 2015. He earned medalist honors at the WA Amateur in 2014 and 2015, winning the event in 2014. Luck finished third at the Riversdale Cup and tied for 5th at the ISPS Handa Global Cup, a professional Japan Tour event, this year. Chip Lutz, 61, an attorney from Reading, Pa., will be making his 14th USGA championship appearance. Lutz won the 2015 U.S. Senior Amateur after finishing as a semifinalist three times with an 18-5 record all-time in the championship. Lutz has also won the Senior Amateur, conducted by The R&A in 2011, 2012 and 2016, as well as the Canadian Senior Amateur in 2011 and 2012. He is just the second player to ever win the U.S. Senior Amateur, Senior Amateur, conducted by The R&A, and the Canadian Senior Amateur in a career. Lutz is a former low amateur at the Senior Open, conducted by The R&A. Additionally, Lutz is the only player to win the Philadelphia Junior (1972), Philadelphia Amateur (1977), Philadelphia Mid-Amateur (1998, 2007) and Philadelphia Senior Amateur (2014). Robert Macintyre, 20, of Scotland, won the 2015 Scottish Amateur and was the runner-up at this year’s British Amateur, conducted by The R&A. Michael McCoy, 53, of Des Moines, Iowa, was the low amateur in the 2014 and 2015 U.S. Senior Opens and won the 2013 U.S. Mid-Amateur Championship as the second-oldest winner. McCoy, who was a member of the 2015 USA Walker Cup Team, has played in 47 USGA championships. McCoy works in the insurance business and is an Iowa Golf Hall of Fame member. Tyler McDaniel, 20, of Manchester, Ky., is a four-time winner of the Kentucky State Junior, and won the Junior PGA and Kentucky State Amateur in 2013. Maverick McNealy, 20, of Portola Valley, Calif., was a first-team All-America selection and Pac-12 Conference Player of the Year for the second consecutive season after leading Stanford University to the conference title. McNealy was a member of the 2015 USA Walker Cup Team and advanced to the Round of 16 at both last year’s U.S. Amateur and U.S. Amateur Four-Ball (with partner Viraat Badhwar). He qualified for the 2014 U.S. Open and reached match play at two U.S. Junior Amateurs. Collin Morikawa, 19, of La Cañada, Calif., was chosen 2016 Pac-12 Conference Freshman of the Year as a member of the University of California team. He was also selected to the GCAA All-Freshman Team and All-West Region squad. Morikawa, who competed in his first USGA championship at the 2015 U.S. Amateur, earned first-team All-Pac 12 honors and tied for 15th in this year’s conference championship. He won the 2016 Sunnehanna Amateur with a final-round 62. Kyle Mueller, 20, of Athens, Ga., was one of 11 amateurs who played in this year’s U.S. Open at Oakmont (Pa.) Country Club. He became the first University of Michigan golfer to earn first-team All-Big Ten Conference honors since 2008. He tied for third at this year’s Big Ten Championship and was voted to the all-tournament squad. Mueller reached the Round of 16 in the 2015 U.S. Amateur and defeated stroke-play medalist and top seed Brett Coletta, of Australia, in the first round. Joaquin Niemann, 17, of Chile, advanced to the Round of 32 in this year’s U.S. Junior Amateur. He shot a final-round 62 to win the 2016 Toyota Junior Golf World Cup in Japan with a 72-hole score of 17-under 267. Niemann, last year’s TJGW runner-up, trailed by six strokes after the third round. In 2015, Niemann captured the IMG Academy Junior World (ages 15-17) with rounds of 66-70–136, on Torrey Pines’ South Course, and the Sergio Garcia Foundation Junior. Zachary Olsen, 22, of Cordova, Tenn., is making his fourth consecutive U.S. Amateur appearance. He reached the Round of 32 in 2013, the quarterfinals in 2014, and the Round of 64 in 2015. He won the Southern Amateur and Tennessee State Match Play in 2013. Olsen finished ninth in the Big 12 Championship in 2014. Matthew Perrine, 20, of Austin, Texas, was a 2015 U.S. Amateur quarterfinalist and defeated a pair of U.S. Mid-Amateur runners-up in match play. In 2015-16, Perrine tied for 16th in the Big 12 Conference Championship as a sophomore on the Baylor University team. He also tied for 10th at the NCAA Kohler Regional and tied for 39th in the NCAA Championship. He won the 2014 Texas Class 5A UIL state high school championship and received the Bryon Nelson International Junior Golf Award. Garrett Rank, 28, of Canada, is competing in his fifth U.S. Amateur and advanced to match play the last two years. In 2015-16, he officiated in more than 30 National Hockey League games, but worked primarily in the American Hockey League. Rank, who overcame a cancer scare at age 23, was the runner-up in the 2012 U.S. Mid-Amateur and reached the 2016 U.S. Amateur Four-Ball semifinals (with partner Patrick Christovich). He tied for second at this year’s Sunnehanna Amateur and was one of two amateurs to make the 36-hole cut at the RBC Canadian Open. Doc Redman, 18, of Raleigh, N.C., reached match play in this year’s U.S. Amateur Four-Ball with partner Andrew Orischak. Redman, a graduate of Leesville Road High who will attend Clemson University this fall, won this year’s North Carolina High School Athletic Association 4A state championship. Redman, who reached the Round of 16 in the 2014 U.S. Junior Amateur, was named 2015 Raleigh News & Observer player of the year. Davis Riley, 19, of Hattiesburg, Miss., is playing in his fourth consecutive U.S. Amateur. He qualified for the 2015 U.S. Open at Chambers Bay and is a two-time runner-up in the U.S. Junior Amateur (2013, 2014). Riley received the Liberty Mutual Responsible Sports Moment Award for sportsmanship after assessing a self-imposed penalty in the 2013 Junior Amateur final. Riley, who has been the Mississippi Class 3A independent medalist three times, earned honorable mention All-America, second-team All-Southeastern Conference and SEC All-Freshman honors at the University of Alabama in 2016. Scottie Scheffler, 20, of Dallas, Texas, is competing in his fifth U.S. Amateur and reached the quarterfinals in 2013. He qualified for this year’s U.S. Open and shot a first-round 69. Scheffler helped the University of Texas advance to this year’s NCAA match-play final and win the Big 12 Conference Championship and NCAA Franklin Regional. Scheffler, the 2013 U.S. Junior Amateur champion, was the Big 12’s top newcomer in 2015. His older sister, Callie, is a member of the Texas A&M University team. Sammy Schmitz, 35, of River Falls, Wis., won the 2015 U.S. Mid-Amateur Championship and earned an invitation to this year’s Masters. Schmitz recorded the second known ace on a par-4 in USGA championship history when he holed his tee shot on No. 15 at John’s Island Club’s West Course in the championship match. He works for a healthcare services company. Luke Schniederjans, 18, of Alpharetta, Ga., is the younger brother of Oliver, who played in his first U.S. Open at Chambers Bay. Luke plans to attend Georgia Tech in the fall, where Oliver was an All-America golfer and older brother Ben was a baseball pitcher. Luke, who is a two-time all-state scholastic selection, advanced to the 2016 Georgia Amateur semifinals and won the Hurricane Junior Golf Tour’s Amelia Island Junior Open. Craig Smith, 29, of Nashville, Tenn., is making his seventh USGA championship appearance. He was the 2007 Sun Belt Conference champion for Middle Tennessee State. Smith won the 2012 Tennessee Open, and was runner-up at the 2012 State Amateur and 2013 Mid-Amateur. He was third at the 2014 State Mid-Amateur. He is the vice president of Better Block, a concrete and masonry company. Nathan Smith, 38, of Pittsburgh, Pa., is a four-time U.S. Mid-Amateur champion who holds the record for the most match-play victories in that championship. He won last year’s U.S. Amateur Four-Ball title with partner Todd White. Smith, who has played on three USA Walker Cup Teams, works as an investment advisor. He has played in 36 USGA championships, including 15 U.S. Amateurs. Anthony Sorentino, 38, of Shelby Township, Mich., won the 2006 and 2015 Michigan Mid-Amateurs, as well as the 2015 GAM Tournament of Champions. A self-proclaimed Grateful Dead-Head, who saw many shows before lead singer Jerry Garcia died, Sorentino is an assistant prosecuting attorney in Macomb County. Nick Sorkin, 25, of Rockville, Md., is a professional hockey player that was signed as an undrafted free agent by the Montreal Canadiens. Most recently, he was playing for Vasteras IK in Sweden. Ryan Stachler, 19, of Alpharetta, Ga., qualified for this year’s U.S. Open at Oakmont (Pa.) Country Club through both local and sectional play. He shot rounds of 71 and 65 at the Roswell, Ga., sectional qualifier. Stachler, who is a rising sophomore on the University of South Carolina team, played in four events last year. His best finish was a tie for 22nd in the Camden Collegiate. He earned all-state honors twice on the high school level. Jimmy Stanger, 21, of Tampa, Fla., won the 2016 Southern Amateur with a four-round total of 12-under 276. He was chosen All-Atlantic Coast Conference as a junior on the University of Virginia team in 2015-16. He finished sixth, his sixth top 10 of the season, in the NCAA Franklin Regional and 16th in the ACC Championship. Stanger won the 2010 FSGA Boys’ Junior (ages 13-15) and the 2012 FHSAA Class 2A state high school championship. Justin Suh, 19, of San Jose, Calif., qualified for the 2016 U.S. Open. He earned honorable mention All-America recognition as a member of the University of Southern California squad. He tied for 10th in this year’s NCAA Championship and helped USC reach the team match-play semifinals. Suh, who was selected to the All-Pac-12 Conference Freshman Team, advanced to match play in four consecutive U.S. Junior Amateurs, from 2011-14. His sister, Hannah, played in the 2013 U.S. Women’s Open. Patrick Tallent, 63, of Vienna, Va., is the oldest player in this year’s U.S. Amateur field. He is competing in his 33rd USGA championship. Tallent, who won the 2014 U.S. Senior Amateur, has reached match play in four of his previous nine U.S. Amateur appearances. He also won the 2015 Seniors Amateur Championship, conducted by The R&A, at Royal County Down. Tallent, who has played in six U.S. Senior Opens, was selected in the 1976 NBA Draft’s sixth round by the Washington Bullets. Sahith Theegala, 18, of Chino Hills, Calif., played in three consecutive U.S. Junior Amateurs from 2013 to 2015 and played in last year’s U.S. Amateur Four-Ball. Theegala is a four-time winner of the Junior World Championship, and won the Future Masters. Sam Triplett, 20, of Scottsdale, Ariz., is a rising junior on the Northwestern University golf team. He played in eight events last year and his best finish was tie for 32nd in the Big Ten Conference Championship. The Wildcats tied for sixth in the conference championship and posted a second-place finish in Big Ten Match Play last February. His father, Kirk, has played in 26 USGA championships, including 17 U.S. Opens, five U.S. Senior Opens and two U.S. Amateurs. Travis Vick, 16, of Houston, Texas, was the stroke-play medalist and advanced to the Round of 16 at this year’s U.S. Junior Amateur. He is a three-sport athlete at Houston’s Second Baptist School. In addition to golf, he is a quarterback/linebacker on the varsity football team and a pitcher/third baseman on the baseball team. Vick, who reached match play in last year’s Junior Amateur, finished ninth in the 2016 Texas State Amateur and fourth in the AJGA Western Junior. He has been counseled by family friend Hal Sutton, who competed in 18 U.S. Opens and won the 1980 U.S. Amateur. Charles Waddell, 31, of Chicago, Ill., is playing in his third consecutive U.S. Amateur. Playing for Bucknell University, Waddell was a two-time Patriot League champion in 2005 and 2006. He has victories in the 2012 CDGA Mid-Amateur, 2014 Timuquana Cup and 2015 John T. Lupton Memorial Invitational. A financial advisor, he was married on Aug. 6. Ben Warnquist, 23, an insurance agent from Olney, Md., reached the championship match with partner Brandon Cigna in the 2016 U.S. Amateur Four-Ball at Winged Foot Golf Club. Warnquist, who won last year’s Maryland State Amateur, advanced to the Round of 16 in the 2010 U.S. Junior Amateur. Warnquist states: “My great, great grandfather is supposedly Archduke Franz Ferdinand, the man whose assassination triggered the chain of events starting WWI.” He is competing in his fifth USGA championship. Frederick Wedel, 21, of The Woodlands, Texas, is competing in his third U.S. Amateur and advanced to the semifinals in 2014 at Atlanta Athletic Club. Wedel, who was born in Alaska, was chosen first-team All-West Region as a senior at Pepperdine University in 2015-16. He earned first-team All-West Coast Conference honors for the second consecutive year and was seventh at the WCC Championship. Wedel won the 2016 Northeast Amateur with a 72-hole score of 6-under 270. Shuai Ming Wong, 16, of the People’s Republic of China, reached the Round of 32 in the 2016 U.S. Junior Amateur. He tied for 13th in this year’s Texas State Amateur and tied for seventh in the 2015 Texas State Junior. Wong, a rising senior at The John Cooper School, and Frankie Capan formed the second-youngest team in this year’s U.S. Amateur Four-Ball Championship at Winged Foot, where they advanced to the Round of 16. In 2015, Wong, whose nickname is Ben, won the Shell Houston Open Junior Championship by 12 strokes. He finished third in the Byron Nelson Junior on June 30. Gunn Yang, 22, of the Republic of Korea, won the 2014 U.S. Amateur by defeating Corey Conners, 2 and 1, in the final at Atlanta Athletic Club. Yang, who was 15 months removed from back surgery, became the second San Diego State University player to win the U.S. Amateur (Gene Littler won in 1953). Yang took last year off from college to compete in professional events as an amateur. He finished 10th at this year’s NCAA Albuquerque Regional. Cameron Young, 20, of Scarborough, N.Y., is competing in his fourth consecutive U.S. Amateur. He reached the quarterfinals in 2014 and the Round of 32 last year. Young, who helped Wake Forest University qualify for the 2016 NCAA Championship, and WFU teammate Paul McBride reached match play in this year’s U.S. Amateur Four-Ball. He has also played in three U.S. Junior Amateurs, reaching the quarterfinals in 2013. His father, David, is the head professional at Sleepy Hollow Country Club. Will Zalatoris, 19, of Plano, Texas, earned honorable mention All-America honors and was first-team All-Atlantic Coast Conference selection as a sophomore at Wake Forest University. He helped WFU finish second at the ACC Championship and earn an NCAA berth. Zalatoris, who was the 2015 ACC Freshman of the Year, won the 2014 U.S. Junior Amateur and reached match play at the last two U.S. Amateurs (2014 Round of 16; 2015 Round of 32). He won this year’s Trans-Mississippi title when he posted a 72-hole score of 6-under 274 at The Olympic Club and the Pacific Coast Amateur with a par on the second playoff hole at Seattle (Wash.) Golf Club. Federico Zucchetti, 21, of Italy, won the 2014 and 2015 St. Andrews Links Trophy and the 2013 Italian International Match Play. He also notched a third in last year’s Italian International.